Fazzio Interiors. 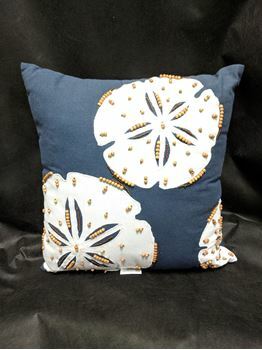 Sand Dollar Beaded-Navy 16"x16"
White sand dollars on navy. Decorative pillow for indoors or out. White sand dollars on navy. Decorative pillow for indoors or out. Hidden zipper.